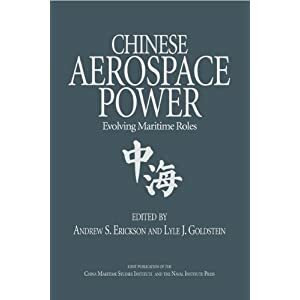 Andrew B. Kennedy, “China’s Petroleum Predicament: Challenges and Opportunities in Beijing’s Search for Energy Security,” in Jane Golley and Ligang Song, eds., Rising China: Global Challenges and Opportunities (Canberra and Beijing: Australian National University and Social Sciences Academic Press, 2011), 121-136. If China’s rise is one of the most important stories of this new century, China’s growing appetite for energy is one of its most striking subplots. Between 2000 and 2009, China’s energy consumption more than doubled as its economic growth went into overdrive. By one estimate, China accounted for 63 per cent of the world’s new energy demand during that period. China now consumes 47 per cent of the world’s coal, 19 per cent of its hydroelectric power, and 10 per cent of its oil. In 2009, according to the International Energy Agency (IEA), China surpassed the United States as the world’s largest energy consumer. 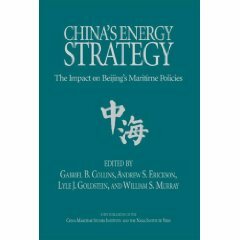 China’s soaring appetite for energy has sparked growing concern amongst its rulers and intellectual elite about the country’s ‘energy security’—traditionally defined as the ability of a country to procure sufficient, affordable and reliable energy supplies. Indeed, whereas the People’s Daily mentioned ‘energy security’ (nengyuan anquan) only once in the year 2000, the paper published 476 different articles using the term between 2008 and 2010. For many Chinese observers, China’s biggest problem in this regard is its mounting reliance on energy imports and the external vulnerability that these imports imply. Others take a less traditional view and highlight China’s domestic energy challenges, especially the unreliability of its power sector and the environmental costs imposed by its heavy reliance on coal. In both cases, the concern is that energy represents a growing challenge that China must confront. 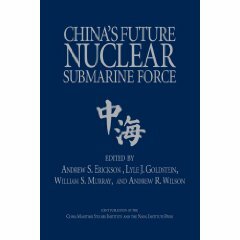 Whereas the last three decades of the twentieth century witnessed China rising on to the global economic stage, the first three decades of the twenty-first century are almost certain to bring with them the completion of that rise, not only in economic, but also in political and geopolitical terms. China is now the second-largest economy in the world as measured by national accounts and is well on the way to becoming the largest economy in real terms in the not too distant future. The Chinese economy has contributed positively to world economic growth for decades, even during the global financial crisis (GFC) in which strong domestic growth played a pivotal role in ensuring that world economic growth stayed in positive territory. China’s integration into the global economy has brought one-fifth of the global population into the world trading system, which has increased global market potential and integration to unprecedented levels. The increased scale and depth of international specialisation propelled by an enlarged world market have offered new opportunities to boost world production, trade and consumption, with the potential for increasing the welfare of all the countries involved. While many of the global and national benefits of China’s economic rise are clear for all to see, so too are many of the costs. China’s integration into the global economy has forced a worldwide reallocation of economic activities. This has increased various kinds of friction in China’s trading and political relations, as well as generating several globally significant externalities, relating to the following: 1) increased competition from China’s low-cost production and the accompanying rising share of Chinese-made products provided to the world market; 2) China’s role in global economic imbalances; 3) rising commodity prices, including energy and minerals prices, caused largely by China’s rapidly increasing demand for resources to fuel its development; and 4) rising greenhouse emissions, resulting from the rapid pace of industrialisation and increasing standards of living in China. China’s rising economic weight in the global economy is not only affecting its economic and political relations with the rest of the world, but is also changing the global and regional economic and political landscapes in fundamental ways. As pointed out by Findlay and O’Rourke, ‘in the longer run, the gradual rise of India and China to their natural roles as major economic and political superpowers [is] not only the best news for global human welfare in a generation, but promise[s] to raise a variety of geopolitical challenges which as yet remain unpredictable’. Whatever these challenges turn out to be, China faces the critical task of managing its rise in a way that is palatable to both the domestic and the world communities. A necessary counterpart to this task is that of the world community finding ways to accommodate China’s rise that ensure the future stability and prosperity of the world economy and polity. In this sense, it is probably safe to say that accommodating a rising China is the most important task facing the world community in the first half of the twenty-first century. The emergence of major trade and financial imbalances between regions has been the key characteristic of the global economy in recent years. In the real economy, the ever-increasing trade imbalance between the United States and China has been the main contributing factor. China has achieved a position of major relevance in terms of the real economy, with global shares of output, trade, emissions and commodity consumption that rank it as a tier-one power. It has, however, a financial system and a framework of exchange arrangements that presently prevent it from achieving equivalent heft in the financial sphere, with the intermediation of real economy imbalances left by default to the financial systems of industrialised countries. To correct this imbalance, China will need to further deepen the reform of its financial system in order to pave the way for liberalising its capital account and achieving the full convertibility of its currency. It is against this backdrop of imbalances that China and the other major nations must seek to alter the composition of their economic activity and eventually their balance sheets. The intense distress experienced across the globe as the process of financial de-leveraging accelerated in the middle of the GFC and the uneven signs of stabilisation observed since then have not reduced the enormity of the task. 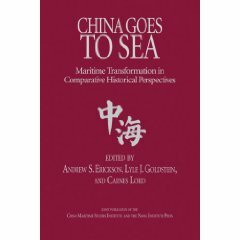 For China, consistent with the goal of rebalancing the economy, the next wave of rapid growth will need to focus on higher value-added manufacturing, a shift towards the domestic market, a shift of the centre of gravity of growth from the coast to the interior, a vast expansion of the service sector, and the dynamism of small and medium, predominantly private, firms. Boosting domestic consumption will take time but there are some clear reform options that will play a positive role, including the development of the social welfare system and the urbanisation of the large number of migrant workers. China can also contribute to the task of rebalancing not by exporting less but by importing more. Moving towards a market-based exchange rate regime is part of the structural approach to addressing the imbalance issues. Given the sheer size of the Chinese economy, in combination with the extent of its global integration, virtually any structural adjustments in China will have global consequences. Consider as an example the question of how China should best manage its vast quantity of US dollar-denominated assets against the background of dollar depreciation. On the one hand, the depreciation of the dollar generates a real adjustment in boosting US exports and slowing its imports, thereby improving its trade account balance. On the other hand, the depreciation of the dollar also generates a financial adjustment through capital gains for the United States set against the losses for the rest of the world. This presents a major financial risk for China given its massive stock of cross-border assets and its ongoing move towards international financial integration. Given such a risk, the diversification of China’s cross-border assets away from US dollar assets and short-term assets issued by the United States and other countries is appropriate and inevitable. It is part of a pattern of financial globalisation that has generally positive, as well as occasional negative, implications for the international financial system and the global economy. On this occasion, however, should China choose to do so, it would precipitate a further fall of the US dollar, thereby putting more pressure on the United States to raise its interest rates, which is hardly ideal for a country still recovering from crisis. The increasing interdependence of these two major economic powers in terms of trade, investment and now finance as well suggests that cooperation is no longer an option, but a necessity; and in many instances, this point extends across the entire globe. To assist with bilateral and multilateral cooperation, there is a pressing need for structural adjustments in the institutions that govern the international political and economic system. This is because maintaining relatively open and fair, multilateral political, trading and financial systems is the only effective way in which the behaviour of rising powers can be constrained by a rules-based system, while those of incumbent powers become more accommodating and cooperative. In a world in which China is increasingly expected to play a leadership role, this multilateral framework will provide an important institutional basis from which the expansion of international trade can continue to be a positive-sum rather than a zero-sum game. Only then can globally common goals such as macroeconomic stability, financial integration, poverty reduction, climate change and regional and international security be achieved with success.